The world we love is changing. This is why skis, such as the Volkl RTM 73, now exist. The ski world has metamorphosed from an intrinsic world ruled by the apexes and fall-lines of the race course, Klammer over Kingsbury, ice that could deflect bullets over knee deep powder; to the half-pipe, powder and sheer thrill of air of those once side-lined park-junkies. 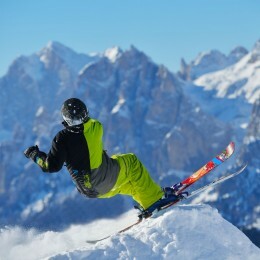 Never more so than now, skiing has become a dynamic sport. Those who play in powder also want the rigidity to push-it-out on ice; the same being true in reverse; and Volkl has seen the demand and went after it with the determination of a rabid animal and the skill and experience of a ski-producer, dating to the 18th Century with an eye for modernity. The launch of the ‘Ride The Mountain’ (RTM) range is the company’s replacement for their AC line, altering the very fundamentals at the crux of their all-mountain offerings. Like this brave new world we are skiing through, Volkl has adapted their new range to fulfill the needs of skiers on and off of the piste, in the half-pipe or hurtling down a GS run. The RTM range is filled with skis from 73 to 88 millimeters underfoot, which will meet the needs of all. Coming up is our review of the baby in the line, Volkl RTM 73s. The very name, Volkl, has a distinct history of skiing excellence and it seems that their RTM 73s are the first rung on that ladder. This model has an inherit bias towards those who are either at a beginner or intermediate level, searching for a ski that is easy to turn, forgiving but also able to let its hair down on occasion, primarily on the piste, but also playing in the soft stuff. The Volkl RTM 73 is the ski that will do all this and more. Our team of experts has crowned it, ‘the perfect first ski’. On a middle of the range 159cm ski, the RTM 73s are 73mm underfoot (unsurprisingly! ), 120mm at the tip and 105mm at the rear – a shape not dissimilar to a Dynastar Omerglass Ti, serving a similar purpose on the 73s. The wide nose allows the weight to be better distributed, making skiing in powder like child’s play, negating the threat of the tips becoming bogged-down. Underfoot, a sidecut measuring 73mm gives the ski a real feeling of grip, similar to that of most high-performance skis and a radius, on a ski measuring 159cm, of 12.9m that makes the 73s just as happy to ski tight slalom turns or rock amazing open carves. Either way, they cling to the snow like glue, even at high speeds. Besides their basic shape, weight distribution is further aided by the presence of tip rocker (the tip is slightly higher than the tail). The RTMs can easily be turned and practically do most of the work themselves, they had our whole review panel asserting that they were one of the most forgiving skis they had ever had the pleasure to spend time on. 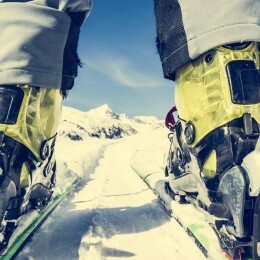 Alas, underfoot beats the heart of race skis that has beat for centuries. A camber profile under the boot gives the ski an insane amount of grip and enables whoever is clipped into the bindings, to remain stable in any condition – not forgetting the ease of carving which comes circumjacent. A lightweight composite core makes the Volkl RTM 73s incredibly easy to turn – furthermore they are equally incredibly soft; these skis are not for experts, but the RTM 86s are. The 73’s micro-weight means that their flotation is unparalleled by any other all-mountain ski – as already mentioned – and are entirely forgiving. Finally, there is the piece de resistance, what Volkl have coined ‘PROGRESSive technology’. In essence, they have molded a specifically engineered shape of protrusions upon the top-sheet, to vastly improve the ski’s performance – but that’s ski designer talk, to you and me, the ski is bumpy! 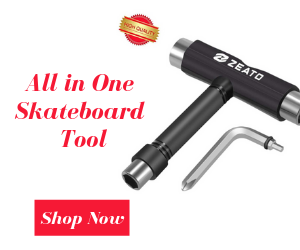 The entire purpose of this feature is to transfer energy from the front, namely the tip, to the center of the ski, not only bettering the 73’s ability to float over crud and powder but also increasing the power underfoot enabling better carving. This is one of the key factors that are making these skis carve as well as Rossi Soul 7s. On groomers, a light core, tip rocker, and Volkl’s PROGRESSive technology make’s them effortless to carve. The things just want to be on-edge, they will silently beg you to throw them about in varying radii of turn. Surprisingly, for a ski aimed at the beginner and intermediate markets, the RTM 73s maintain their grip well and feel solid underfoot. One of our reviewers was clocked at close to 50mph on them. Although slightly chattery on ice and when really powering-up the ski, they held firm. For Volkl’s target market, this will not be a problem. What may be though, is their ubiquitous favoring of piste skiing. Despite Volkl’s claims that the RTM 73s are ‘70% groomed’ and ‘30% powder’ favored, they seem too familiar with the piste stuff. Saying this, it will probably pose little problem for those considering the 73s – as they are able to head off-piste if forced, but on the slopes are stable, forgiving and easy going ski that very few can find fault with. The success of Volkl’s attempt to make the RTM 73s powder ready is debatable, however, all those additions make them great at dealing with crud and poorer snow conditions as the day progresses. Referring back to our introduction to the 73s, they really are the best ski for your primary trip into the ski market or for those seeking an upgrade. The Volkl RTM 73 model is perfect for anyone who wishes to join the crazy new world of half-pipes and powder, whilst refusing to relinquish the occasional lark-about through some race gates and everything in between, for any beginner or intermediate skier. Team Volkl have clinched ski-stars like A Fischbacher gold in Vancouver’s 2010 Super-G, R Henshaw silver in the 2015 World Championships and star in many freeskiing films. The company is the best all-rounder in the industry and is at the forefront of ski design, even amongst the tumult of our transition. The Volkl RTM 73s are no exception. This is one memorable all-mountain ski, we all love it and we are sure you will too!